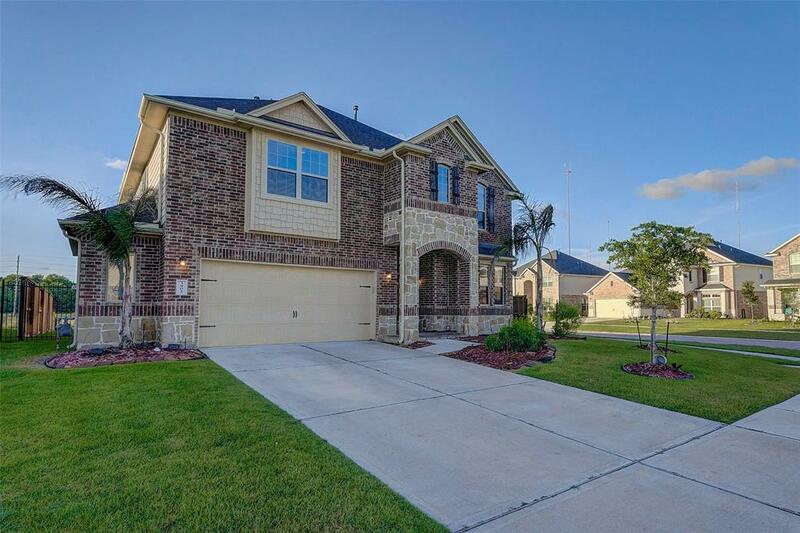 Are you searching for the perfect home with stunning water views and CAPTIVATING sunsets? Located on an over sized premium waterfront corner lot with OVER $36K IN BUILDER UPGRADES, this property will not disappoint!! 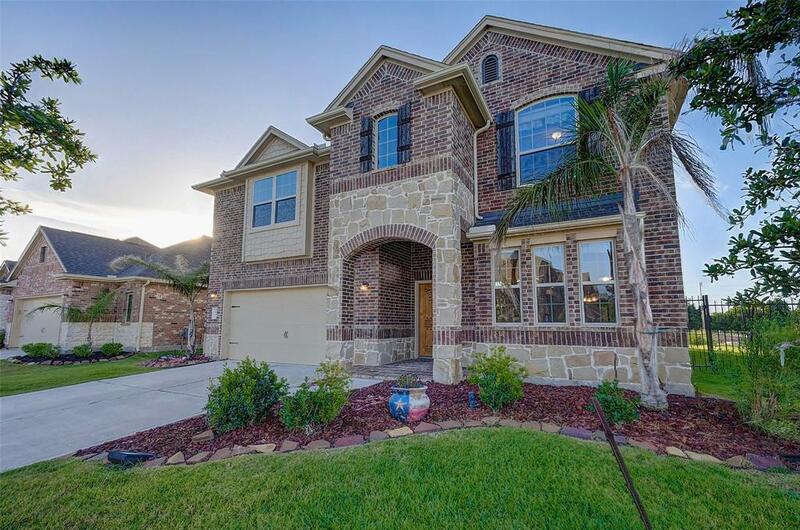 Built by Princeton classic homes the elevation is adorned with stone and brick. 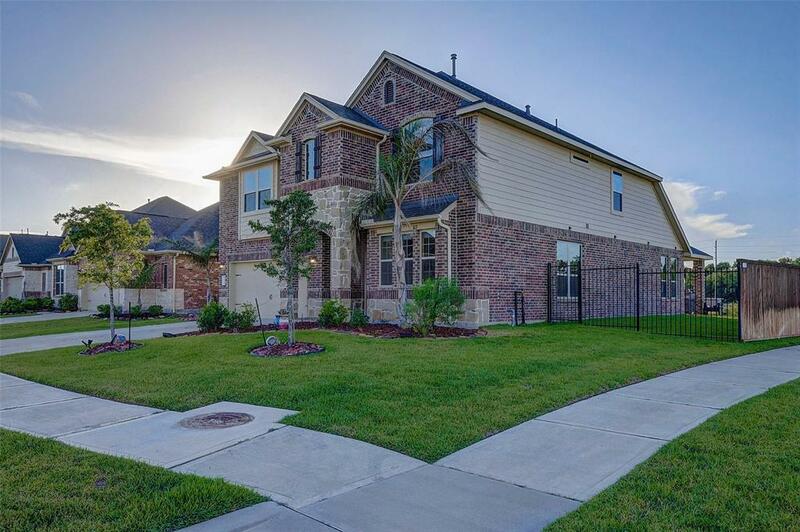 Meticulously maintained and cared for by the original owners who chose designer upgrades including stainless steal appliances, granite counter tops, wrought iron balusters and tile/laminate flooring throughout the first floor. The high ceilings and tons of natural light adds to the appeal. 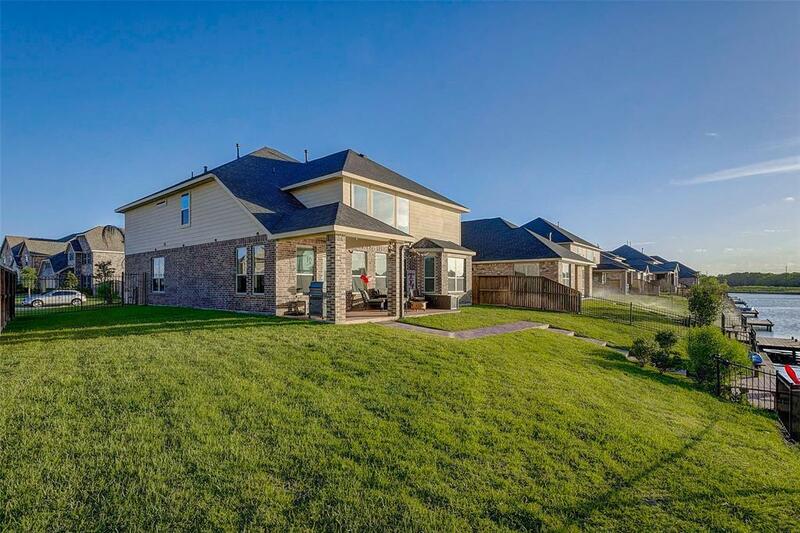 Plenty of room for everyone with 5 bedrooms, 3.5 baths, game room AND media room, extra 5 foot extension added to garage - not to mention the covered extended patio and your own private dock to fish from in your stocked lake. In addition, owners have installed a mosquito system around the property. Avoid the hidden expenses & headaches of new construction and come enjoy the fascinating views!